In an Article from the Air Force Space Command it is reported that on Aug 17th the United States Air Force Launched the last of a series of 8 modernized satellites to replace aging GPS satellites. The latest launch was somewhat of a milestone in the history of GPS. 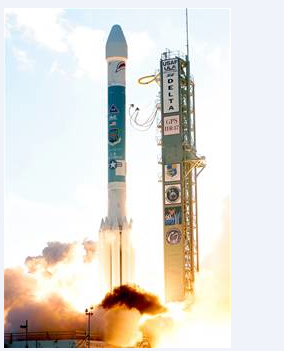 The latest satellite is the final IIR satellite to be launched, and is the final satellite to be launched on the Air Force's United Launch Alliance Delta II Rocket, which is the only launch vehicle that has been used since the beginning of the GPS program in the 1970's. According to reports from the Air Force Space Command the launch the United Launch Alliance, Lockheed Martin, and the United States Air Force contributed to the successful launch. According to the Air Force Command article, "TheGPS IIR-21(M) will join the constellation of 30 operational satellites on-orbit providing global coverage and increased overall performance of GPS service. GPS IIR-21(M) will assume plane E, slot 3 position replacing space vehicle number 40. Users around the globe will benefit from the improved accuracy, enhanced encryption, anti-jamming capabilities and a second civil signal to provide dual frequency capability and improve resistance to interference. The satellite is expected to be set healthy for navigation users worldwide next month. This is very exciting to me for a couple of reasons, first, if the new satellites provide this much capability I am excited to learn about what the satellites that will replace the IIR models will be capable of, as well as what the new launch vehicle will achieve. This news is also exciting because it is great to see that even in the hard economic times the U.S. is still going forward with its plan to maintain and improve the Global Positioning System. The article quotes Colonel Dave Madden as saying "I am exceedingly pleased with today's launch, and elated to be a part of a mission that plays a critical component of our nation's infrastructure. Today's launch culminates the awesome team work and commitment of government and industry team of dedicated professionals. We achieved a major milestone in GPS history today, as we launch the last GPS IIR-M satellite and begin a new era of GPS services to modernize and sustain the GPS constellation. GPS has evolved to the status of global utility, vital to commercial users and the security of the world. The future technology for GPS lies ahead as we synchronize the development and deployment of the future GPS IIF and GPS III satellites, the Next Generation Control System, and the new M-Code User Equipment," It is great to see that we are placing GPS and the ability to map the world at the forefront of National concerns. It bodes well for mappers that the government sees the importance of, and is a full participant in, the advancing of GPS, mapping, and communication technology. As satellite and other GPS technologies improve the accuracy of data for GIS users will also greatly improve, which will result in better research and solutions to problems. In recent months the government seems to be placing more emphasis on increasing the space based technology of the United States. In addition to the continued launch of more advanced satellite systems the government is also taking steps on the ground to consolidate governmental data into a more clean and less redundant operation. 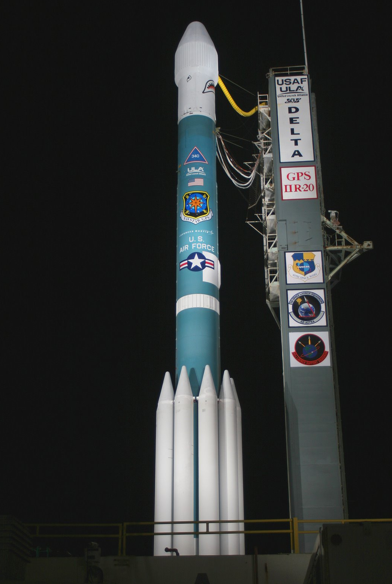 According the the article, "The Air Force Space Command's Space and Missile Systems Center, located at Los Angeles Air Force Base, Calif., is the U.S. Air Force's center of acquisition excellence for acquiring and developing military space systems including six wings and three groups responsible for GPS, military satellite communications, defense meteorological satellites, space launch and range systems, satellite control network, space based infrared systems, intercontinental ballistic missile systems and space situational awareness capabilities." The Air Force Space Command website lists 25 separate Air Force units that are responsible for these space capabilities, which seems to indicate that space based operations are becoming an increasingly important military asset. I suspect that with the increased emphasis being placed on increasing GPS technology that the need for more advanced GIS programs and users will also become necessary. I think this bodes well for all of the mappers out there.